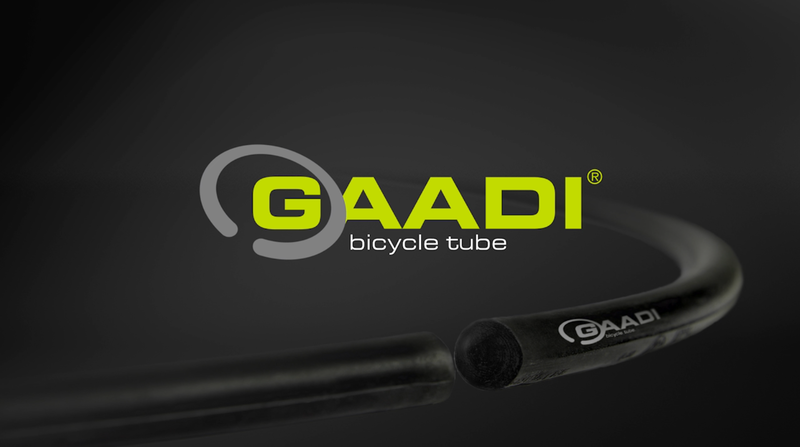 The GAADI Bicycle Tube GmbH is a German company and has its head office in Mönchengladbach, in the Lower Rhine region. In 2004, Adi Jetten and Gabriel Petrovan laid the foundations for the business they run today, creating the first open-ended GAADI bicycle tube in their garage and immediately testing it on their own bikes. A short while later, they had the GAADI bicycle tube patented at the European Patent Office. The name GAADI was coined from the forenames of the inventors Gabriel Petrovan and Adi Jetten. 2009 was the year Dana Fischer came across the two designers and has since then supported GAADI commercially. Not only did she provide the financial means for manufacturing and development, but she also accelerated the founding of Jetten-Fischer-Petrovan GbR, which later became GAADI Bicycle Tube GmbH. Since then, the company has submitted an international application for a second patent (PCT application), as well as having the name GAADI trademark protected. 496 products from 30 different countries were in the running, but the Eurobike Award 2013 went to our GAADI bicycle tube. In the same year, GAADI was awarded the Dutch “Fiets Innovatie Award 2013” to recognize their forward-thinking, technological innovations. 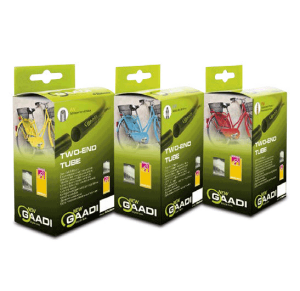 The work of GAADI GmbH is supported by the company from Mönchengladbach, Klaus Fischer Dreh- und Presstechnik [Turning and Pressing Technology] GmbH. GAADI’s success would not have been possible without the exemplary involvement of this traditional business. 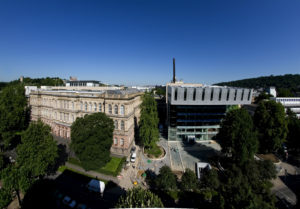 In cooperation with the Institute of Plastics Processing (IKV) at the RWTH Aachen University, we have extensively analysed the expansion behaviour of our tube when it is mounted on a bike. This simulation made it possible for us to determine the optimal geometry and material properties for the GAADI bicycle tube. We carried out our analyses using different casing and bicycle sizes, examining the corresponding expansion behaviour and stresses placed on the material, always searching for the optimal riding performance. We have the renowned Czech tyre and tube manufacturer Rubena s.r.l as our partner for manufacturing the GAADI bicycle tube.